Super awesome picture... What were you playing? I found this only other photo of me with my F312. I’m wondering where the label would’ve been? Great photos! Thanks for sharing. 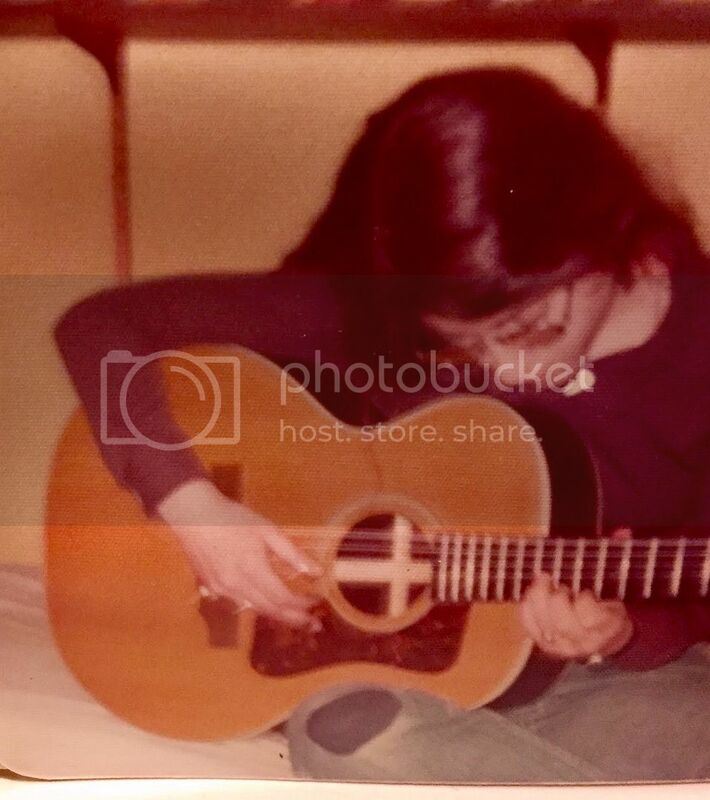 Brings back memories of the early 70's when I first began playing guitar and became active in the local folk music circles, with "patches on my jeans." Back to the original post, that F-312 has beautiful rosewood on the back and sides! And the 16" lower bout seems like a comfortable body size for a 12-string guitar. Good luck with the sale. Last edited by sailingshoes72; 04-13-2019 at 10:51 PM. "IIRC" That was period (early '70's) that seems to have more than its fair share of label adhesive failure (lost labels), assuming it's not just hidden by the photo angle. One would think it would still have been there at only a couple of years old or less. With acoustics, my memory is that the majority of reports mentioned a visible outline of the missing label, so the glue was the obvious culprit, but I do recall at least one comment that no label outline was visible, as if it may never have been there. One of Mavuser's D25's, I think? i have a 1970 F-112 w no label and no evidence of there ever being one. I was only born in 1977 however, so no guarantees !